A concise definition of the word ‘pollution’ is given in the dictionary as the presence in the air, water or soil of a substance with harmful or unpleasant effects. This short explanation cannot give us the actual picture of piles of contaminating refuse which we produce daily and which are dumped in landfills to rot and contaminate the ground, or which is indiscriminately dumped in the seas. 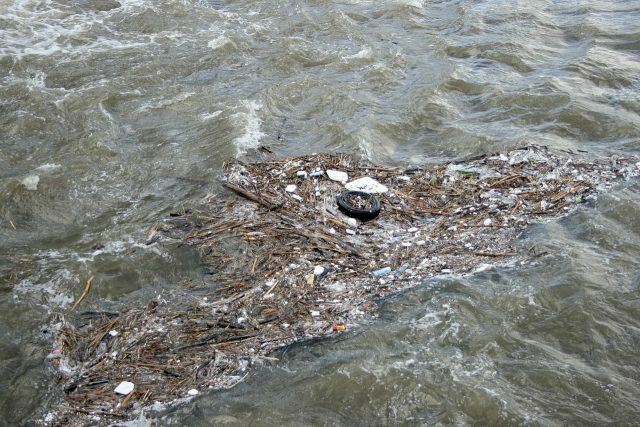 It does not tell of the tons and tons of contaminating and often toxic waste produced by manufacturing companies of all varieties, that are spewed into rivers, seas, lakes and the like, thereby damaging all the creatures, including ourselves, who rely on such resources. It is a sorry state that we humans have brought our beautiful world to – so much so that our very existence is becoming endangered. 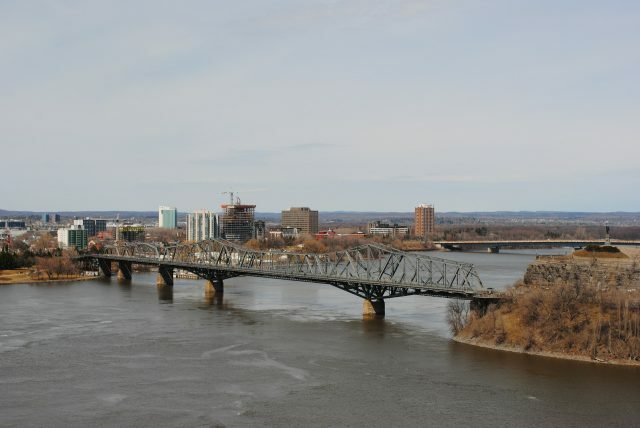 One of many examples of steady ongoing contamination has recently come to the fore and concerns the Chaudiere and Albert Islands which are situated in the Ottawa River within the metropolis of Ottawa-Gatineau. Contamination of these islands and the immediate surrounding areas continued for almost 200 years, during which time no particular notice was given to anti-pollution measures, and any environmental voice of reason was simply ignored – all in the cause of progress. As is so often the case, the recent Zibi Development Project has highlighted the ongoing battle that always seems to arise between issues raised by environmentalists and the rights of developers, who themselves present the positive effects of such a development by promising a better life for all and an infinite amount of jobs. With visions of great wealth sparkling in their eyes, developers and community leaders – often with the support of the communities themselves – ignore the inevitable long term consequences of such destructive projects on the environment. The pioneer businessmen of long ago recognized the tremendous prospects of the region for the development of the lumber business, and the paper barons followed that up later by the introduction of a vibrant and successful pulp and paper industry. So many manufacturing, industrial, financial, and business decisions have been made over the 150 years since then, many of which have turned out to be extremely costly with regard to the long-term health of the lands, the river, and the surrounding environment. 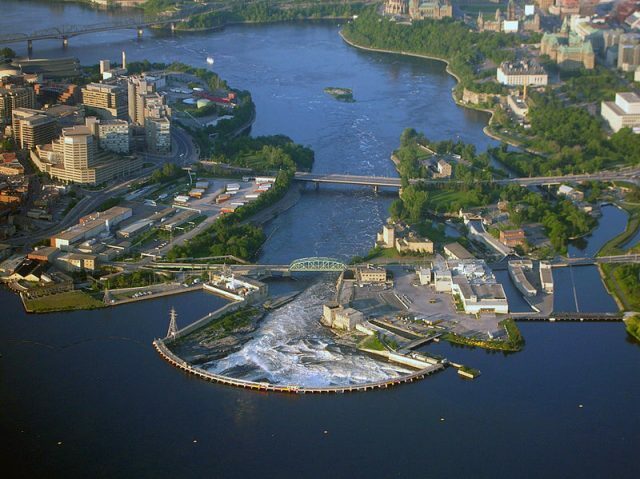 The previously beautiful Chaudière Falls have been harnessed by hydroelectric power requirements – and by the middle of the nineteenth century the entire area had become the center of the industrial economy of Ottawa and today it is still a lingering source of contamination. 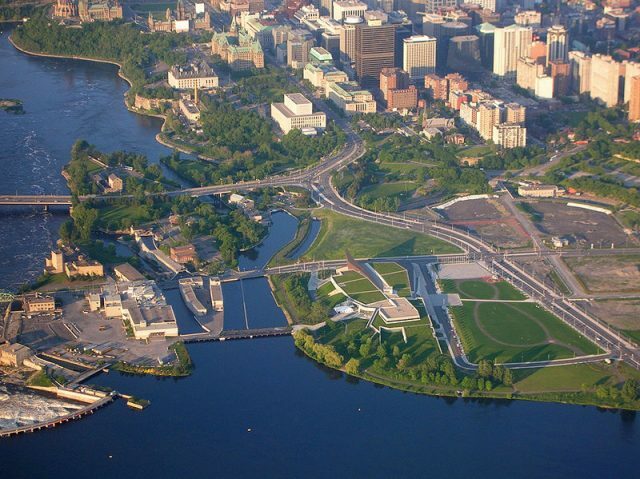 The estimated costs of cleaning up the Chaudiere and Albert Islands and the surrounding area have been set at somewhere near $60 million. That is the sum that the Windmill Property Developers are asking for from public funds, in order rehabilitate the area. The land, utilized for so long as an industrial site, has been found to contain huge amounts of a wide range of contaminants. Since the property developers have plans to build a massive project there, they would first have to ensure that it is contaminant free. 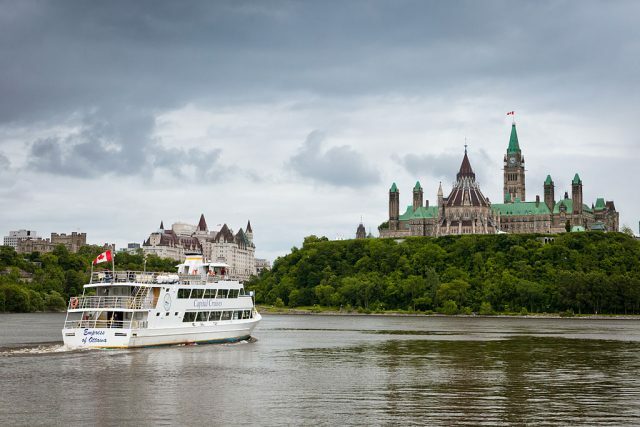 This area has, however, recently been claimed by the Quebec-based Algonquin people, along with other indigenous groups, and they are questioning the viability of the project, all of which somewhat complicates the whole set-up. 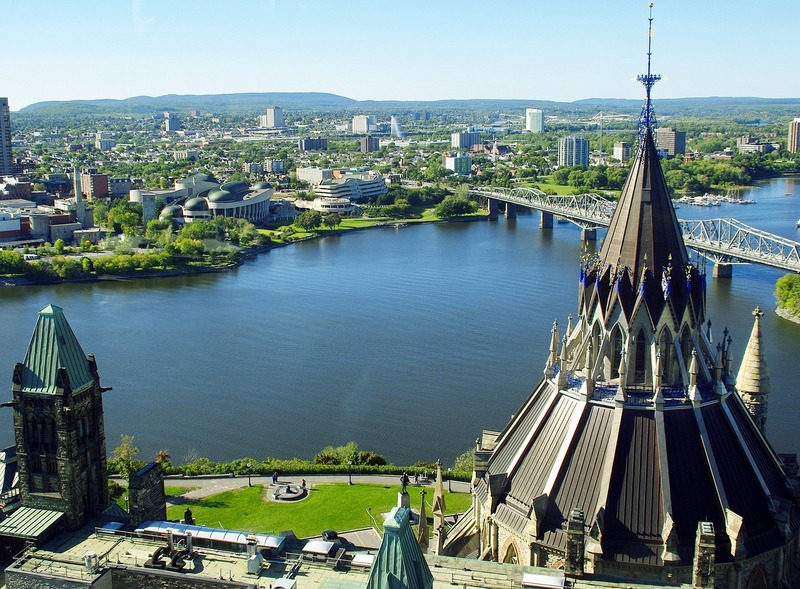 Today, though Ottawa-Gatineau has become known as the political as well as the cultural center of Canada, it is also known as the place where, due to the intense industrial activity there, heavy pollution first became apparent. In mitigation, it needs to be remembered that Canada was not the only country where this was happening, for at that time, industries were rising throughout the world and similar levels of industrial contamination were then also occurring in Britain and parts of Europe as well as in areas in the U.S.A.
Environmental contamination did not go unnoticed, and 1866, the Citizen Newspaper had an editorial around the issue of pollution and sawdust contamination in the river. One wonders, therefore, why so little notice or action was taken, in spite of a further newspaper mention of the planned measures which were supposedly in place to curb such pollution. However, it would seem that money and the environment met head on – and money won! Sawdust pollution caused conflict up to and into the 20th century. The worst offender was reported as being J.R. Booth. 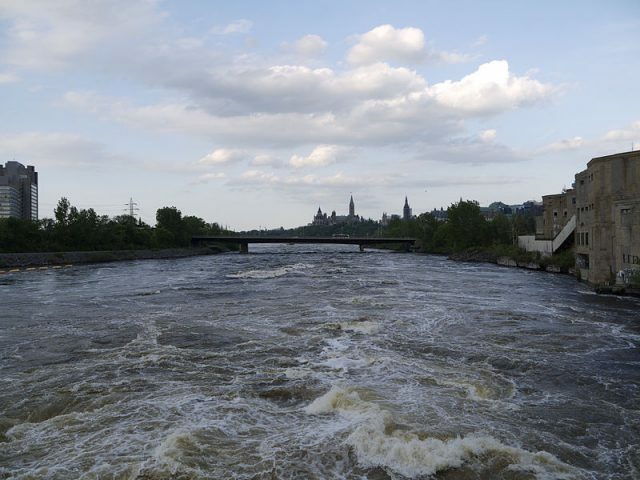 He had an extensive lumber enterprise situated in and around the Chaudière and poured tons of waste products from his lumber operation into the Ottawa River for nearly 50 years, with seemingly little attempt by any officials to enforce regulations designed to keep the water clean. 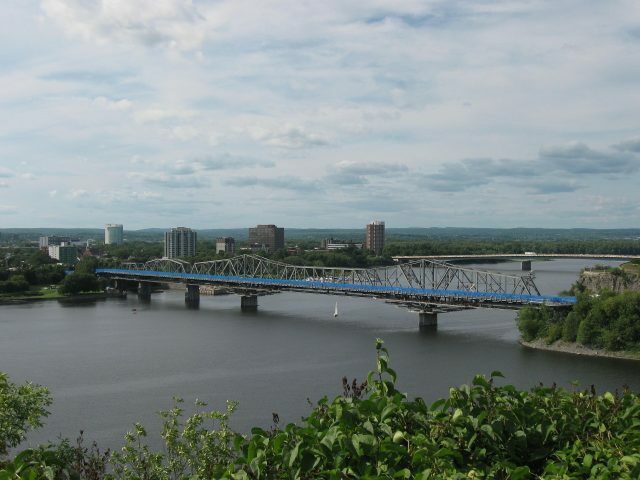 Early in the 20th Century, pulp and paper industries took over from the sawmills and as the industrialization of the area escalated, so too did the pollution problem. 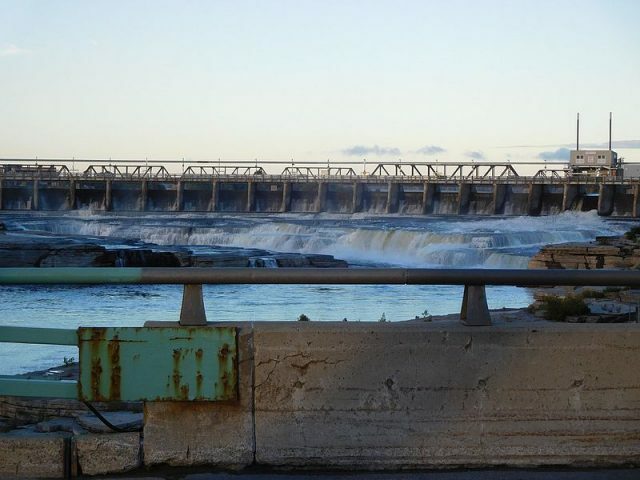 By this time, the problem wasn’t just contaminated water, it was also the soil of the Chaudière Islands which was now in a toxic state. 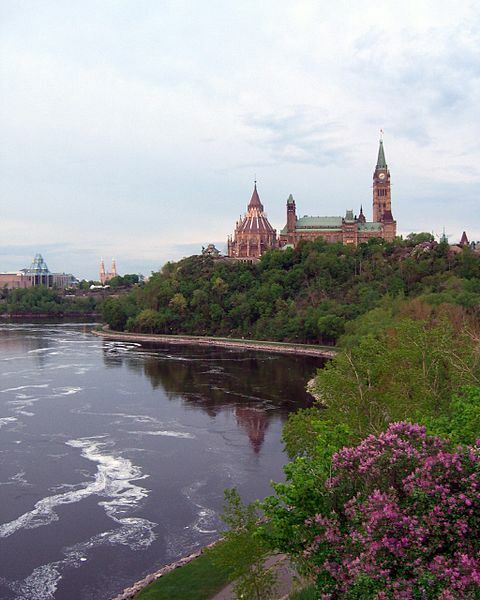 Perhaps we should consider both sides of the coin, by accepting that the era of pollution of the Ottawa River and its adjacent industrial lands happened at a time when the nation-building achievements of men like Booth made their wealth and that of their country possible. We know that today, while the pollution menace of the river has not been totally eradicated, its quality is steadily being improved and we need to be grateful to those who labor to continue to improve its status. It is a known that activists, persons who are environmentally conscious and those who wish to leave a natural, uncontaminated world to future generations, clash continuously with those who – with no thought to the environmental costs – are bent on improving their bank balances. We need to take a good look at ourselves, however, for do we not form part of the problem? Are we not guilty of being influenced by advertising that insists that we need – or can’t do without, or must have – a multitude of unnecessary manufactured items? Maybe we should take a very serious look at our part in adding to the pollution of our world!